Sarah McCoy’s third novel, THE MAPMAKER’S CHILDREN (Crown) digs deep into American history and the role of the Abolitionists in the mid-19th century. Before I share my thoughts about her novel, I think now is good time to reflect that just several weeks ago, Americans voted for Harriet Tubman, an African American woman slave and an abolitionist to become the new face on the $20 bill in an unofficial national contest. Tubman made about thirteen missions to rescue approximately 70 enslaved family members and friends using the Underground Railroad. She later helped a white man, John Brown, who was an abolitionist, recruit men for his raids on Harper’s Ferry for which he was eventually captured and executed. John Brown is a central figure in McCoy’s novel. 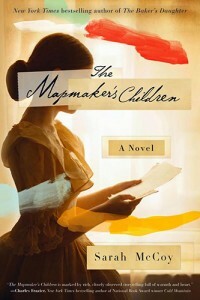 THE MAPMAKER’S CHILDREN is a rich mixture of historical and contemporary fiction. The stories alternate between Sarah Brown in the 1800s and Eden Anderson 2014. Sarah Brown’s father is the well-known abolitionist, John Brown, who is determined to end slavery in the mid-19th century. Her mother and sisters don’t know about his work, but when Sarah learns she’s barren after nearly dying from dysentery, she joins the movement with her artistic talent creating maps for the Underground Railroad to use for travel. Eden Anderson is in the same house many years later with her husband, Jack in current times. They are struggling to have a child and their marriage is suffering. She discovers the head of a doll in their home that dates back to the 1800s. It leads her on an journey which brings her to Sarah Brown’s story and the true history of the home. Sarah McCoy does a wonderful job weaving Sarah’s and Eden’s stories together, as well as bringing past and present, fact and fiction, like a beautiful tapestry. 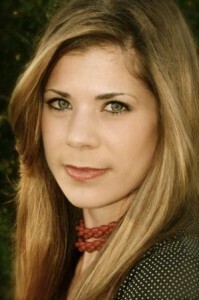 SARAH McCOY is the New York Times, USA Today, and international bestselling author of The Baker’s Daughter, a 2012 Goodreads Choice Award Best Historical Fiction nominee; the novella “The Branch of Hazel” in Grand Central; The Time It Snowed in Puerto Rico; and The Mapmaker’s Children (Crown, May 5, 2015). Thank you for the review. This sounds like a story that needed to be written. I’m ready to bite into some substantial historical fiction!